Since permission must be obtained by interrupting a web visitor, we can safely expect that this will negatively impact web usability and a business’ ability to personalize their site and collect web analytics data. This is a major blow to European online businesses and consumers alike, reminiscent of mandated 3D Secure protocol for processing certain cards in certain countries. While only 3 countries met the deadline of May 24, 2011 (Estonia, Denmark and the UK), each state is responsible for developing its own laws in compliance with the Directive. If you need a primer on the issue, Silktide has an entertaining (yes, entertaining!) and informative short video that sums up what the Directive is and what your options are if your business is located in the UK. Reasonably, only the 3rd is a viable option for any serious business (though #4 is tempting, I hear Liechtenstein has some fantastic skiing), which means working towards compliance. The problem is, most EU nations have no law in place yet, and there are no clear guidelines for which cookies are acceptable and not. We do, however, have some fuzzy guidelines from the ICO (Information Commissioner’s Office) – the UK’s information privacy cheerleader. This could be either a comprehensive website audit, or simply a review of what cookies are used and what for, and removing any non-essential cookies. Plot your cookies on a continuum from non-invasive to privacy to very invasive. Cookies with no privacy impact include cookies that remember items added to cart, or a language/country selection. These are essential to your site functioning as the user wants. 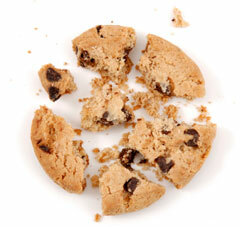 The more “evil” end of the scale includes cookies that are used for site personalization, analytics and advertising (e.g. Google Remarketing ads that follow users around the web for weeks). The ICO suggests offering “more detailed choices” at the more intrusive side of the scale. This means more opportunities to opt out of cookies and essentially turn off features of your site. However, what intrusive means is very subjective. Certainly non-PII (personally identifiable information) used for web analytics can’t be that evil, right? You have heard it said of old “it is better to ask for forgiveness than for permission.” (No, that’s not from the Bible, I checked). Seems in this case, you may be forgiven for not going far enough so long as you have put your shoes on, or at least bought a pair of shoes in preparation for the journey. You have flexibility on how to gain permission, both through request format (e.g. through pop-up or accordion slider at the top of a page) and the wording of the prompt. Note that you must ask for permission and explain the nature of each type of cookie, including disclosure when information may be shared with third parties. An example is when a user wishes to view an embedded product information video hosted on YouTube where YouTube sets a cookie to track engagement with the video, length of view, etc. This means you will likely be asking for permission multiple times in one session, and that you must craft several prompt messages, depending on the cookie type and intended use. If you’re in the UK, you have a grace period of one year to “get your house in order” before the ICO begins to lay the smackdown on infringing sites. Of course, non-compliance is an option, albeit a risky one. But if you plan on playing by the rules, I suggest you take advantage of the grace period in order to A/B test methods and messaging to minimize site abandonment once the requirements are set in stone. Next post we’ll explore techniques to do just that. Next articleCookie Permission: Should You Test That? Global Ecommerce: One Store or Localized Stores?